I am a Government of Ireland Research Fellow at the J.E. 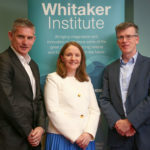 Cairnes School of Business and Economics at NUI, Galway, and a Visiting Fellow at the Grantham Research Institute on Climate Change and the Environment at the London School of Economics.My research is at the intersection of environmental and development economics. I have published widely, including in leading economics journals, as well as more generalist science and social science journals. My research has been cited over 800 times, including in the recent high profile IPCC SR1.5 report (in Chapters 4 and 5). I am also co-editor with Sam Fankhauser of The Economics of Climate Resilient Development(Edward Elgar, 2016).I am currently working on a research project on Spatial Adjustment to Climate Impacts and Economic Development, funded by the Irish Research Council.I have also recently been invited to act as Lead Consultant for an Asian Development Bank report on Disasters and Development in Asia, to be published in 2019.I was previously Principal Investigator for a project funded by the Irish Environmental Protection Agency on the economic impacts of flooding in Ireland, and options for managing flood risk, including an emphasis on the role of insurance. The outputs from this project include publications at JEEP, Phil Trans R Soc A, as well as a policy paper on flooding and insurance, and a policy brief on local adaptation decision-making.I have also consulted for the World Bank and the Irish Government (EPA/Dept of Climate Action)  including contributing a background paper for Irelands first statutory National Climate Change Adaptation Framework (published in January 2018).I hold a PhD from Trinity College Dublin (Ireland), where I was supervised by Frank Barry and Richard Tol. During the Summer of 2012 I was a PhD research intern at the United Nations University, World Institute for Development Economics Research (UNU-WIDER) in Helsinki. I hold a B.Comm (International  with Italian) and an M.Sc. in Economics from the National University of Ireland, Galway and previously taught economics at Dublin City University and at UCC. (2016) The Economics of Climate Resilient Development. (2015) Climate change and the geographical and institutional drivers of economic development. (2015) Coping with climate risk: the role of institutions, governance and finance in private adaptation decisions of the poor. (2018) Adaptation to climate change: A review through a development economics lens.